For many people, the picture that comes to mind when they hear crop rotation is of a large farm with acres to spare, rotating huge groups of crops from one location to the next. However, crop rotation isn't only for large-scale gardens and farms. The average home gardener can really benefit from knowing the basic principles of crop rotation. From balancing soil nutrients to helping decrease pest and disease occurrence, crop rotation is applicable even on a small scale. According to Barbara Pleasant, contributing editor at Mother Earth News, field trials done in Europe and Connecticut concluded a 40 percent drop in potato production when neglecting to rotate the placement of potatoes with other crops. This drop was due mostly to the presence of disease. Most diseases and pests favor certain host plants. Host plants are often related, making them susceptible to similar diseases and pests. This means that planting potatoes after potatoes, or tomatoes after potatoes (tomatoes are in the same family as potatoes), could favor the regeneration and growth of any pests and pathogens that overwintered in the soil. Rotating crops based on family essentially starves many pests and diseases, which require specific host plants to survive. Even if you take great care to keep your garden clean and free from diseased or pest ridden plants, crop rotation also helps to keep nutrients balanced. Tomatoes are heavy nitrogen feeders. Even if you consistently add organic material, like compost, to your garden, planting tomatoes in the same spot year after year will result in lower levels of nitrogen compared to other areas of your garden. Rodale's Organic Life suggests keeping crop type in mind when planning a rotation for nutrient balance. Crops in the same family tend to use nutrients similarly. In more general terms, leafy and fruiting plants tend to be heavy feeders, sapping nitrogen from the soil. Legumes, like peas and beans, replenish nitrogen, but require a good amount of phosphorus. And herbs and root vegetables, in comparison, are generally light feeders. Year 1 - plant tomatoes, Year 2 - plant beans, Year 3 - plant cucumbers, Year 4 - plant tomatoes again. In a smaller bed, rotating crops based on family may not be applicable and you may not receive the same benefits as far as pest and disease prevention go. But, even in a small garden, you will help keep your soil nutrients in balance by moving your plants around. For smaller gardens, rotate crops based on nutrient needs: Leafy vegetables/fruiting plants, legumes, or root vegetables/herbs. 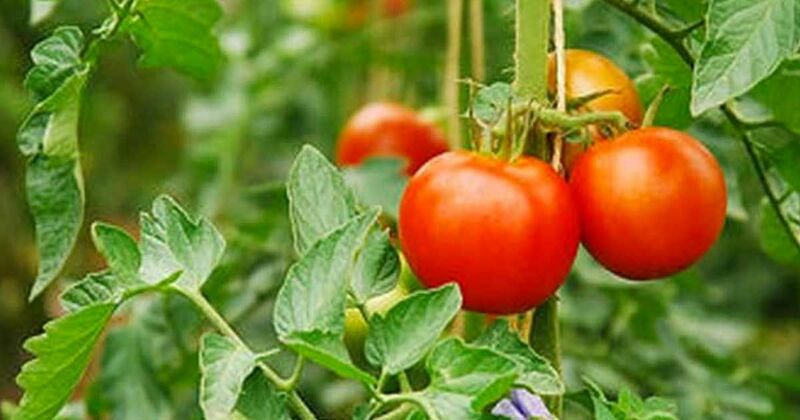 However, if you only grow a few crops each year, such as peppers, tomatoes, and eggplants, which are all fruiting plants and happen to be in the same family, crop rotation may not be possible. If this is the case for you and you have no interest in growing additional crops, you may want to consider leaving a portion of your garden fallow each year, amending it with compost and organic mulch. You could also use a cover crop, like clover, to rebuild the soil. The best scenario would be to create three separate beds. Two could be planted with a cover crop, and the third planted with your desired plants. Rotate plants from bed to bed each year, followed by a cover crop for healthier plants, healthier soil, and an improved harvest. If you plant a variety of plants from multiple families, and have multiple beds, or one large plot, you can rotate your crops based on family, which is ideal. The trick is to know what's related. And to remember what you planted where last year, and the year before that. Taking pictures and notes helps! Once you get in a groove, you can simply repeat your rotations. Below is a list of the nine basic family groups, provided by Mother Earth News. Do a little more digging specific to the plants you want to grow and find out which nutrients those plants use more readily, and how many days to harvest are needed. Use what you learn to create a crop rotation plan for the coming years.